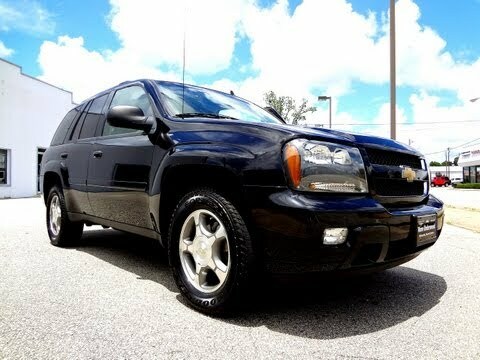 If you need something bigger than an Equinox but not as massive as a Suburban, the 2009 Chevrolet TrailBlazer will probably fit well into your life (as well as your garage). It has good front- and rear-seat legroom, a fair amount of cargo space and the ability to tow up to 6,800 pounds (SS model). Most dependable SUV I have ever owned! My 2009 Chevy trailblazer has been an excellent vehicle. I have had only 1 incident where the turn indicator had to be replaced. It was a pretty simple fix, took about 20 minutes and required only a screwdriver. Oh, and of course the battery has been replaced twice now. I have taken good care of it and stayed on top of all the maintenance. This vehicle had never let me down. Does very well in inclement weather even though it is not 4 wheel drive. I recommend this truck to anyone considering buying an SUV. I give it 5 stars! Chevrolet Trailblazer: Great, Dependable Vehicle That's Great For A Family! I actually really love my Chevrolet Trailblazer! We haven't had any major problems with it, only normal wear and tear like replacing tires, plugs and wires, and things like that. I love that the back seats fold down for whenever we are moving something large. It handles very well in the ice and snow which is very important where we live. The engine compartment is set up weird. It is difficult to change the oil and air filter at home. The oil filter and drain plug are semi-difficult to get to and the air filter has several screws in the cover that require a long screw driver and you have to get them by feel. I like the size, power, and it's fun to drive. The gas mileage is okay, but my last vehicle was a small car. I dislike that the previous owner replaced small things such as door panels and now the OEM panels are unavailable. Also, the panels on the front seats that you adjust the seats with are cheaply made and have both broke.